510 Bail Bond is expanding it's web site weekly. 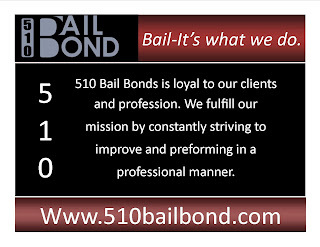 Visit our Fremont Bail Bonds information or see some of our Fremont bail bond blogs on on our web site at www.510bailbond.com If you are in need of bail in Fremont give us a call at 510-760-9409. The Fremont Police what to interview you. What should you do?